I have to admit, I’m REALLY excited to do some fall shopping! Pretend you’re surprised. It has been nice and cool here and we’ve had some beautiful, sunny days that make me want to get up, get dressed and break out the sweaters! My “wish list” has sort of become a series of open browser windows in my phone. 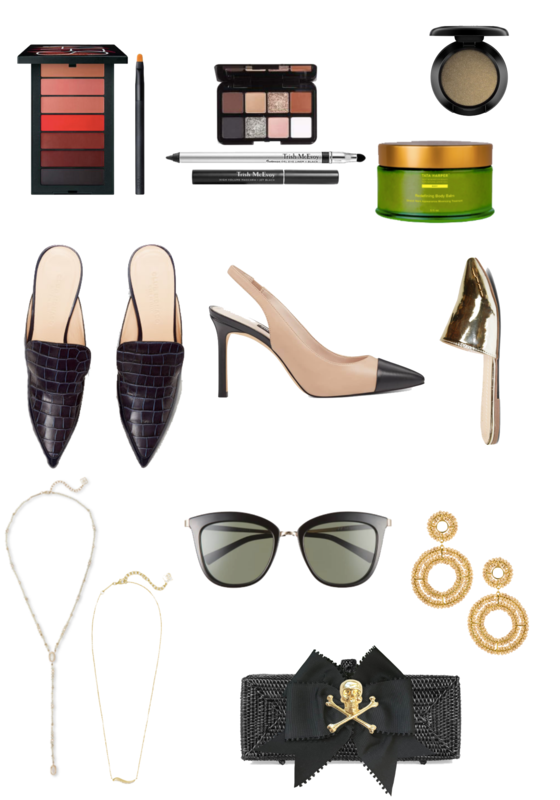 It’s an ever-growing list of things to buy, wear, make or do and, while I’m sure it’s slowing down my phone, it’s kind of nice to keep things there where I can reference them! Does anyone else do this? 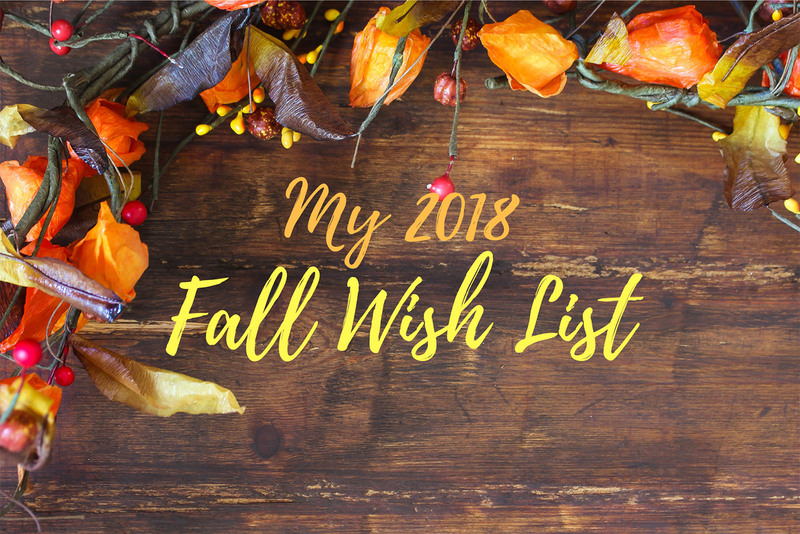 Like I said before, I’m sort of getting away from doing weekly wish lists but I’ll do them occasionally and right now I’m in a shopping mood and the wish list in my mind (and clearly, on my phone) is pretty full so I thought I’d share it! This fall I’m clearly making my way back to neutrals, and a lot of black. It’s the most common color you’ll find in my closet but I could always use more! I want to be a bit more intentional about shopping for clothes this fall so that I find things I can mix and match with items I already have or that might just make putting together outfits easier. And clearly it doesn’t get much easier than black, white and denim. I am eyeing a couple of pops of pink with this Gal Meets Glam dress, which would be such a pretty holiday dress. And this long sweater cardigan over the bodysuit and jeans or even over a tee and leggings would be great for working at home. This J.Crew coat is also going to be my “coat of the year.” I get a new one every fall and I loved this one when I saw it earlier this year, so when they restocked I knew I was going to grab it up! As far as accessories and makeup are concerned, I’ve also tried to stick to neutrals and some subtle statement pieces. We wear winter for so long around here that I don’t want to get tired of the things I’m purchasing. I am really not much of a shoe person, I’d much rather buy clothing any day. That being said, because I don’t buy shoes that often, I wear through the ones I have until I cannot wear them any longer. I’m at that point with a lot of my heels and I really should replace some. I loved finding this cap toe style (under $100!) because I think they’ll go with a lot of things. And I love these alligator mules (the gold ones are a style steal!). I was surprised in my Instagram poll last week that not many people update their makeup for fall. I definitely do because it’s another thing I just get bored with. I bought this palette last week and then saw some great recommendations and a tutorial for wearing it from one of my favorite beauty bloggers to follow, Lindsey Regan Thorne. If you don’t follow her already, you should, she does such a great job! She talked about adding this olive colored eyeshadow with the palette and it was so pretty. I also really want to try some of the Tata Harper body products and this body balm sounds like it’s going to be perfect for winter skin! 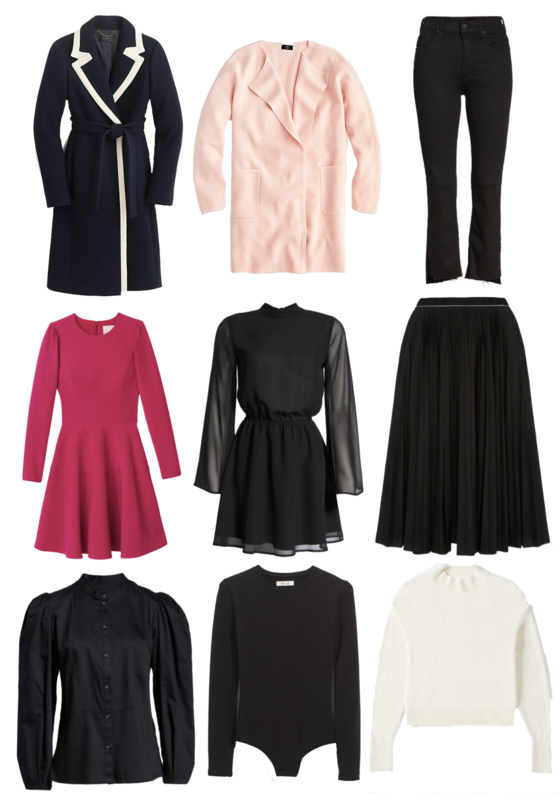 What are you all shopping for this fall? Do any of our wish list items overlap?